Your favorite song is playing on Spotify and you want to hear it throughout the house. Don’t reach for the cord and large speaker. 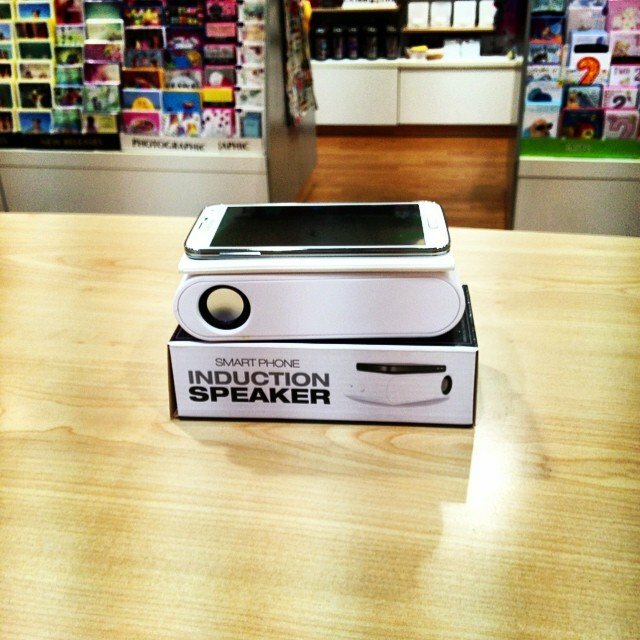 Go for the Oaxis Bento induction speaker instead. Oaxis Bento has created the perfect gadget that takes the guesswork out of music appreciation. The average speaker requires some sort of technological knowledge. Even the smallest amplifier requires some a cord connection that unites the speaker with the playing device. These speakers, however, are completely different in that they have technology that identifies the device for wireless playing. You only need to place your smartphone on top of the induction speaker to have the sounds that you love played throughout the car or house. This device is also fashion forward with its oval-shaped design that has the amplifier underneath the holder. Many cannot get over the capabilities of the Oaxis Bento speaker that neither uses cords nor WiFi to connect devices. The secret to the magic is really the electromagnetic induction power of the device that senses when music is playing on a smartphone and amplifies it to the max. These speakers are also exceptionally loud, which makes it a desired commodity among youth. Even middle aged adults can benefit from this device as the Oaxis Bento speaker also plays audiobooks from your telephone. This amplifier is available in black or white designs, and adds a bit of exuberance with its creative speaker covers that feature bold and exciting colors. These devices will truly revolutionize the way that you listen to music.